Skin can be exfoliated throughout the year, also in the summer, provided that UV protection is applied. Apply 6-8 treatment cycles, in min. 7-day intervals. 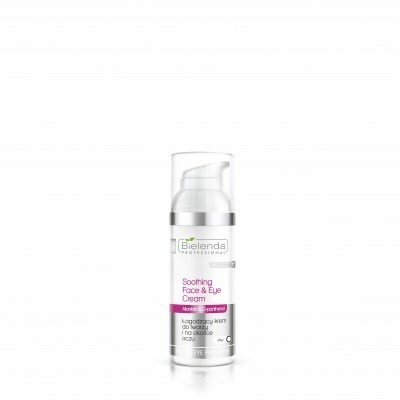 Remove eye and lip make-up with Face & Lip Make-up Removal Lotion. Cleanse the face, neck and décolleté with Satin Make-up Removing Milk. Balance the skin with Satin Gel Toner. Wear latex or vinyl gloves. 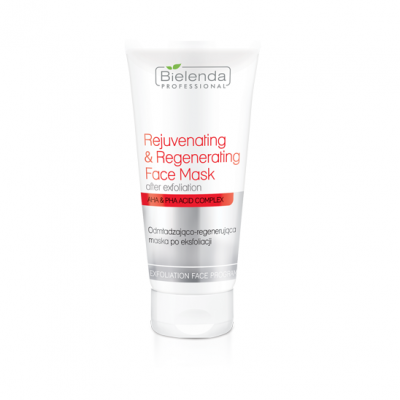 The pre-exfoliation gel should be applied on damp face, neck and décolleté. Gently massage the skin to cleanse it, then rinse it with water and dry with a cosmetic wipe. 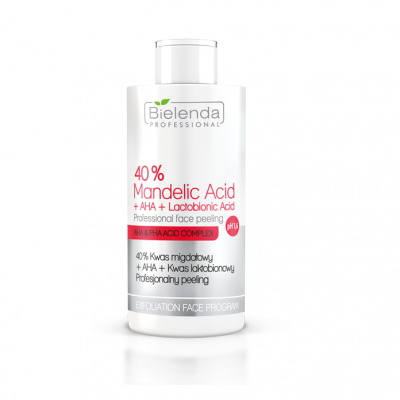 Apply suitable quantity of 40% Mandelic Acid from a glass or porcelain bowl. It is recommended to use a dry brush made of natural hair. With each subsequent treatment, prolong the application time by 2 minutes. The first treatment should last 3 minutes, the second treatment – 5 minutes, and the application time during the last treatment should not exceed 10 minutes. 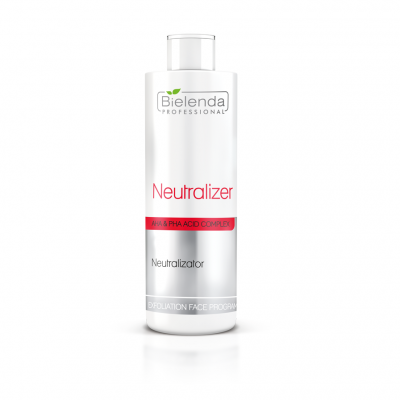 After the recommended treatment time is over, use the Neutralizer to neutralize the acid. Rinse the skin with lukewarm water and dry with cosmetic wipes. 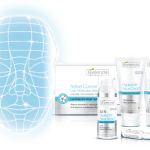 PLEASE NOTE: Carefully monitor skin reactions and the patient’s condition to determine the individual application time. Should any acute skin reactions occur (acute burning sensation, reddening, prickling), immediately remove the acid with the neutralizer. Apply a thick film of the Nourishing & Regenerating Post-Exfoliation Mask or the Rejuvenating & Regenerating Post-Exfoliation Mask onto the face, neck and décolleté, except for the periorbital area. 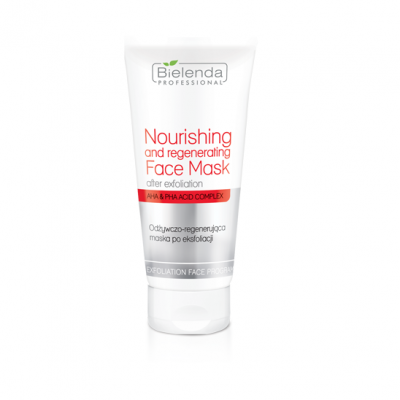 Cover the areas where the mask is applied with a cosmetic film. Leave it on for about 10 minutes. Subsequently remove the film and gentry rinse the excess mask with lukewarm water. Balance the skin with a lotion. Dry with cosmetic wipes. Apply SPF 50 Face Protection Cream on the face, neck and décolleté.